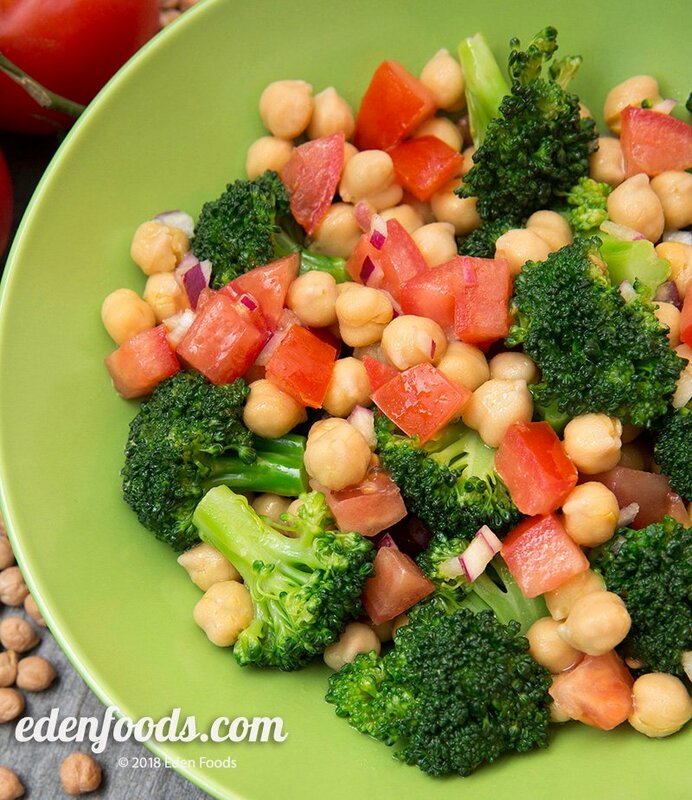 Place the garbanzo beans, broccoli and tomatoes in a bowl. Mix the dressing ingredients together and pour over the salad. Toss to mix and evenly coat with the dressing. Serve chilled or at room temperature. Variation: Eden Cannellini Beans can be used as a substitute for garbanzo beans.